Home › Pro Wrestling › Is Tonight’s Cena vs. Nakamura Match a Mistake? Is Tonight’s Cena vs. Nakamura Match a Mistake? 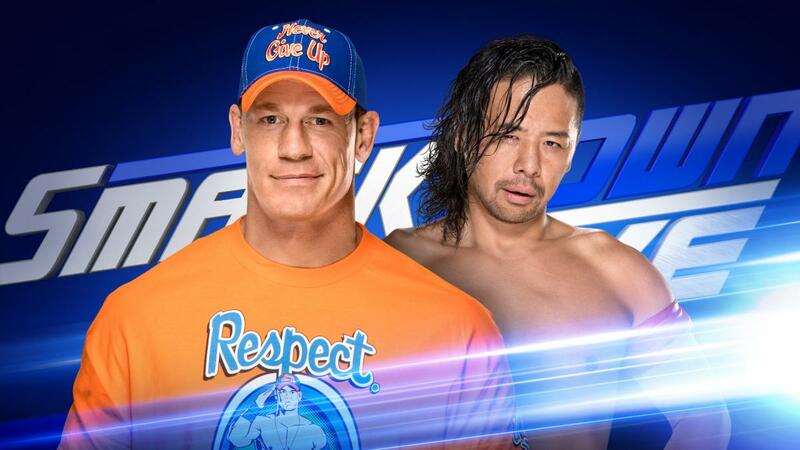 John Cena vs. Shinsuke Nakamura will happen tonight on SmackDown Live and the winner will face Jinder Mahal for the WWE Championship at Summer Slam. This is an interesting turn of events because we’re getting a dream match on television as opposed to a pay-per-view event and everyone is wondering why. Contrary to popular belief, not every first-time matchup is going to or needs to, occur at a major event. Raw and SmackDown are WWE’s two biggest revenue streams. Television content for the two programs needs to be solid in order for WWE to continue receiving rights fees from NBC Universal. WWE’s television programming is essentially an infomercial that encourages the audience to subscribe to the WWE Network. In order to do that, sometimes, premium content needs to be given away for free. There is a precedent for this sort of thing. The most recent example happened back in March when the first Randy Orton vs. AJ Styles match occurred on SmackDown. This case is a little bit different because it involves Nakamura. The Japanese sensation could be the biggest superstar in WWE. While he’s been booked fairly well, he hasn’t been pushed in accordance with his potential. Nakamura’s first match on the main roster saw him mostly selling to Dolph Ziggler before getting a come from behind win. Some saw that as damaging to Nakamura’s character while others felt it demonstrated his toughness to the uninitiated. Nakamura also hasn’t had that blow away match on the main roster…yet. However, that is due to a combination of how he’s been booked and Nakamura realizing that he’s been able to get over with doing less. The smarter approach to working in the ring is a blessing to a 37-year-old body that has been through wars in New Japan and NXT. While Cena/Nakamura promises to be something special, we have to be careful what we wish for here. Yes, letting these two just go out there and wrestle would produce one hell of a match, however, that might not be WWE’s objective. Remember, storytelling is WWE’s business, first and foremost. The powers that be might feel that a spectacular back and forth match doesn’t jive with the story they are looking to tell. The end game of this matchup is a shot at the title. Cena is one title win away from breaking the all-time record for world titles held. If this is the direction heading into Summer Slam, Vince McMahon might want Super Cena blowing through everyone on the road to the biggest party of the summer. WWE could also be ready to give Nakamura a main event push straight to the top. If that is the case, it’s possible that Vince books Nakamura to get a strong win over Cena. The aforementioned scenarios will establish a narrative but dilutes the odds of a back and forth mat classic. In the end, does it really even matter when John Cena and Shinsuke Nakamura have their initial meeting inside the ropes? In the abstract, yes, because wrestling fans are used to pay-per-view matches being the clashes that matter. With Cena/Nakamura announced with one weeks’ notice and no story besides a title shot on the line, tonight’s showdown will be a welcomed, and missed-opportunity for WWE.